Vaporider is having an Accessories Sale this weekend. 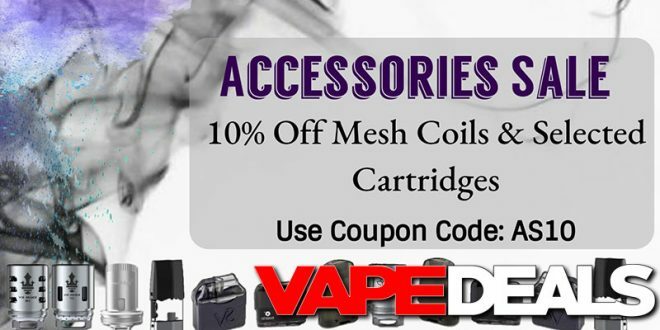 You can get an extra 10% off their best-selling Mesh Coils and Replacement Pods/Cartridges when you use coupon code “AS10” at checkout. I’ll list all of the options down below so you can quickly see if they have something for a tank/device that you already own. Stop by soon—this sale officially ends Monday (9/17) at midnight. And keep in mind that Vaporider offers FREE shipping when you spend $75 or more.